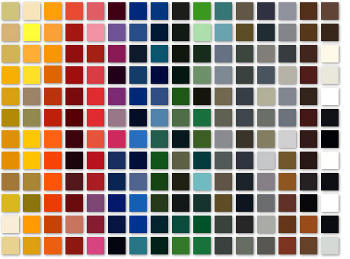 The color choices are almost limitless and multiple textures are also available. Please select one of the powder manufacturers below to view what colors, textures and effects they have available. Please note that due to display settings the colors presented on your monitor may not exactly match the color when cured. It is best to view the color samples in person!